if you think tulips come from Amsterdam, as the song goes, you're wrong. The best place to see fields of tulips, is to visit the Keukenhof gardens in Lisse, one hour from Amsterdam. 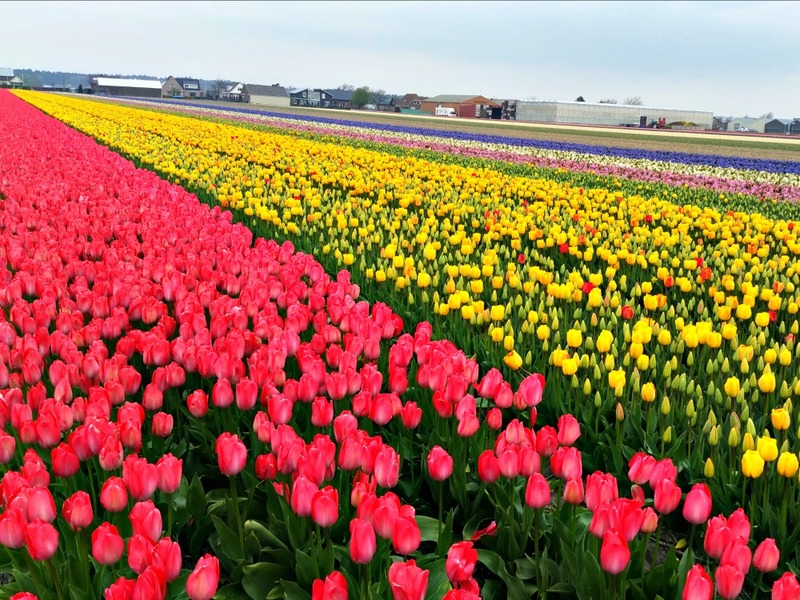 The Netherlands is famous for the cultivation and export of flowers, especially tulips. In the region south of Amsterdam (in the province of South Holland) most of these flowers are cultivated, grown, and traded. Here is where you will find the famous flower fields. In 1949, the Keukenhof gardens were opened as an exhibition. Here, the growers and cultivators of flowers could show their products to the traders. 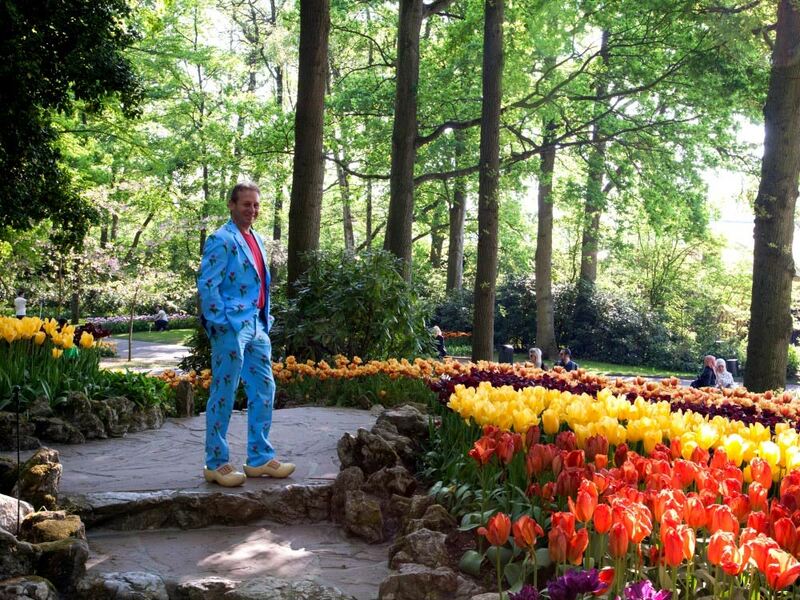 Soon, the public also showed an interest in the flower gardens.. And today, it has grown to be one ofthe most popular attraction of the Netherlands. Do you want to visit the Keukenhof? Take this tour from Amsterdam. If you want to visit the Keukenhof in July or August, though, you're out of luck. The Keukenhof is only open in spring. Or more specific, between Easter and Pentacost each year. Although this is due to the nature of tulips (which only grow in winter and spring) it's also a bit strange. Why don't they show other types of flowers in summer? Well, don't worry. If you're interested in flowers, and intend to visit the Netherlands in summer, just contact us. We organize flower tours after spring as well. In the Keukenhof, you will find lots of tulips, in all colors, shapes and sizes. Tulip companies will show their new species and variations in large flower fields. But there are other flowers as well. Especially dafodils and hyacinths. Just like tulips, these are bulb flowers who need a bit of winter cold to grow in early spring. In the different pavilions, exhibitions of other flowers are shown as well. These change each year. The tulips and other flowers in the Keukenhof are shown in gardens of different shapes and sizes. There are different styles of gardens, as an inspiration for your own garden at home. Examples of these gardens are a romantic garden, an English landscape garden, a beach garden and a vintage garden. The actual flower fields which you can see in the Dutch countryside are not in the Keukenhof itself. They are production fields for the flower bulbs. Like Keukenhof, you won't see these flower fields after spring either. 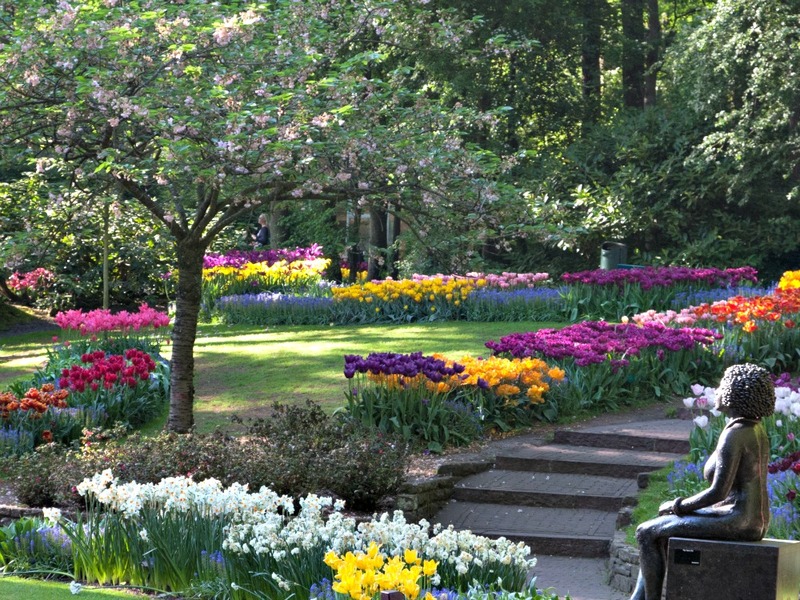 Apart from the flower gardens, Keukenhof has several exhibitions about flowers. The exhibition in the Juliana pavillion is about Tulipmania. You can enlive the hype around tulips in the Dutch Golden Age of the 17th century. 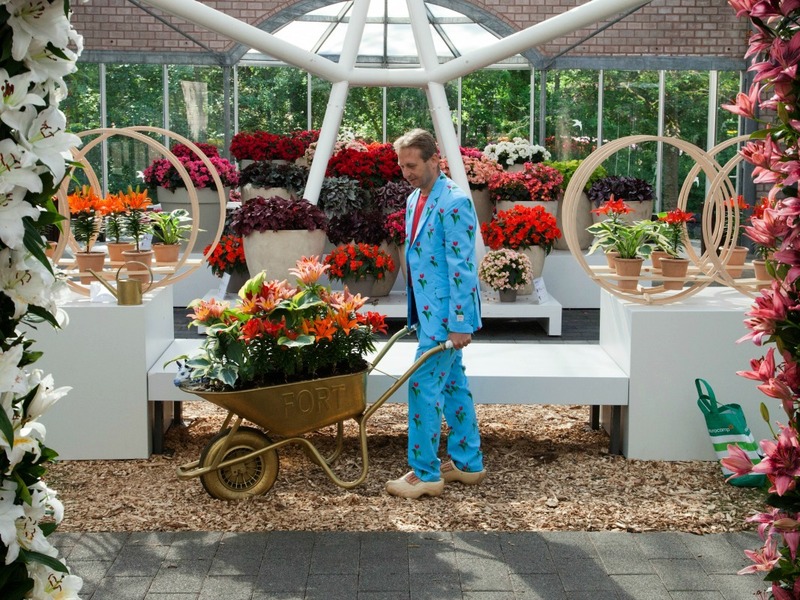 The Keukenhof theme for 2017 is Dutch Design. So the exhibition in the Oranje Nassau pavillion will have this theme. Dutch Design is found in furniture, architecture, and the famous paintings of Mondriaan, for instance. It will be very interesting how this will be expressed in the flower exhibition. 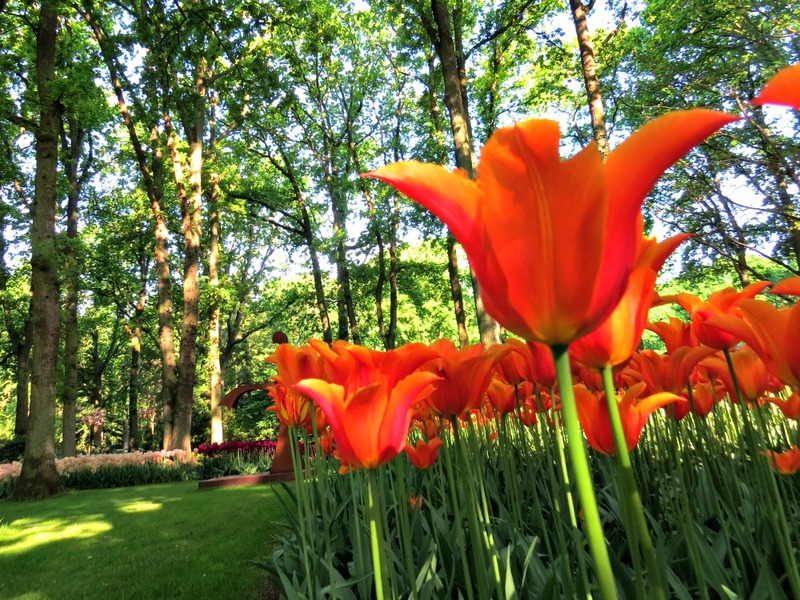 Walking around in Keukenhof gardens, you will see all kinds of other typical Dutch items. As you would in most of the main attractions in the Netherlands. Most eyecatching is the Dutch windmill. It's a real one, which was in use untill 1957, when it was donated and transported to Keukenhof. 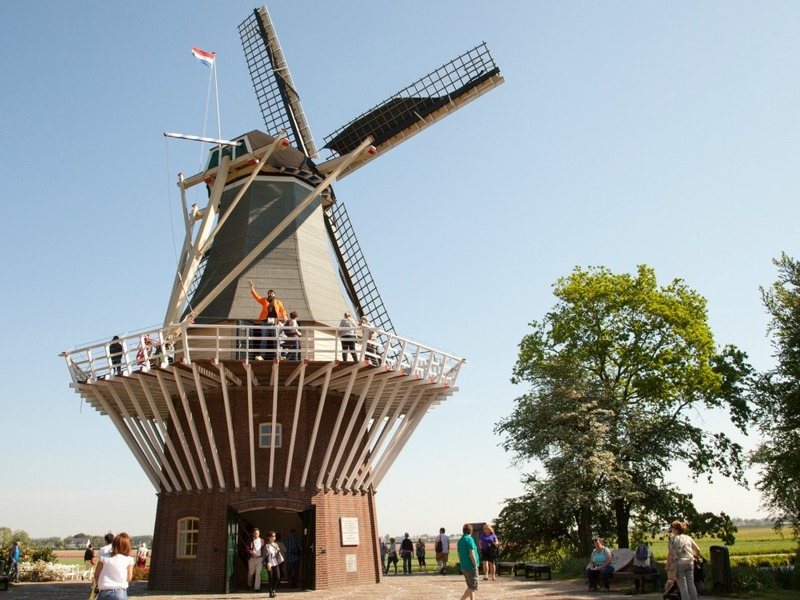 You can climb the windmill, try on some Dutch clogs, listen to a Dutch barrel organ, and buy some cheese. Great, if you don't have the time to see the rest of the Netherlands. But if you ask us, take some time to see these things and more of the Dutch countryside! Do you want to see the Keukenhof Gardens? Take this tour from Amsterdam.